The number of unemployed Palestinians was marked at 364.000, for the year 2017; 146.000 in the occupied West Bank and 218.000 in the Gaza Strip, the Palestinian Center for Bureau Statics reported, according to Al Ray Palestinian Media Agency. The overall rate of unemployment in Palestine, during 2017, was 27.7%, whereas the unemployment rate between the West Bank and the Gaza Strip remained high, with 43.9% in Gaza and 17.9% in the West Bank. The report pointed out, in a statement reviewing the labor situation in Palestine 2017, on the eve of May 1, World Labor Day, a rise in unemployment rates for women over men, with an increase in the gap over recent years. The rate of males ranked at 22.5% in 2017, while the unemployment rate for females was 47.8%, in the same year. The statement noted that men’s participation in the workforce was about four times that of women. The results show that the labor force, with regard to teenagers in Palestine, reached 45.3% in 2017. It is clear that the gap between the male labor force and that of females is still large; the male participation rate reached 70.9% compared to 19.0% of the women. The labor force participation rate in the West Bank reached 45.3%, compared to 45.1% in the Gaza Strip. The number of Palestinians employed by workers is estimated at 666,000, 333,000 in the West Bank, 221,000 in the Gaza Strip, 92,000 in Israel, and 20,000 in the settlements. 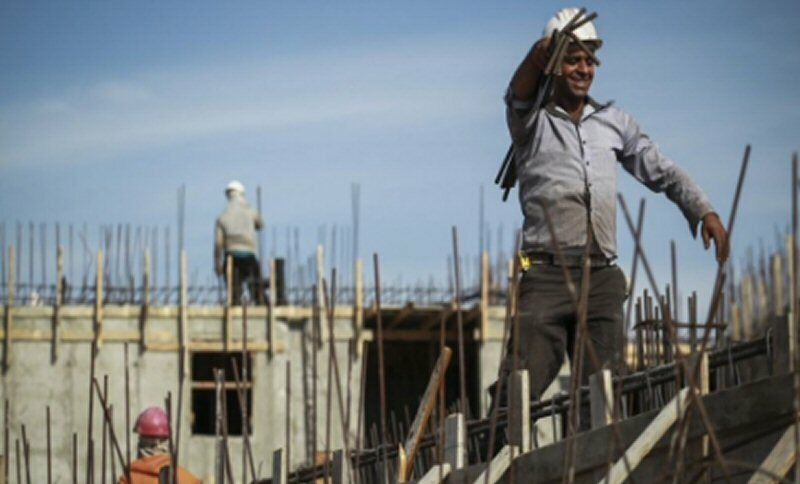 The number of Palestinians employed in the private sector tallied at 351,000 workers ; 231 thousand workers from the West Bank and 120,000 workers from the Gaza Strip. About 36% of wage employees in the private sector received less than the minimum wage (1,450 NIS) in Palestine, overall. In the West Bank, 16.2% of wage employees in the private sector received less than minimum monthly wage, with about 37,500 employees earning an average of monthly wage of 1,079 NIS. In the Gaza Strip, the percentage of wage employees in the private sector who received less than minimum monthly wage was 74.0% of 88,800 employees, with an average of monthly wage of 731 NIS. The average actual weekly work hours for wage employees in Palestine was 42 hours; 40 hours for wage employees in the public sector, 43 hours for wage employees in the private sector. Approximately one fifth of wage employees received retirement benefits. About 21.8% of wage employees received retirement or end of service benefits, and 21.8% received paid annual leave, 21.0% received paid annual sick leave, and 35.0% of female wage employees received paid maternity leave in the year 2017. More than one fourth of wage employees in the private sector are employed by contract. 25.4% of wage employees in the Palestinian private sector work by contract; 26.2% in the West Bank and 23.9% in Gaza Strip. About one fifth of wage employees in the private sector are affiliated with labour or professional unions. 17.4% of wage employees in Palestine were affiliated with labour or professional unions; 12.4% in the West Bank and 29.6% in the Gaza Strip.